This book is about atonement theories, but not really. It’s really about what God is like and how beautiful the Gospel really is. The default atonement theory of most conservative evangelical churches in America is the legal/penal-substitution theory. Jersak pushes back against this, arguing for a more ancient, more authentic and more Orthodox view. He refers to it as the healing or therapeutic view, but it is also known as the Christus Victor view of the atonement. Jersak argues that the therapeutic view is more consistent with the picture of God we see revealed in Jesus, who is God incarnate. The book is divided into three parts. In part one, “What is God? 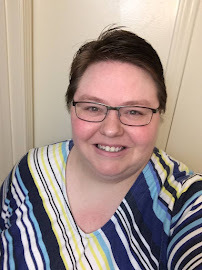 Competing Images of Will and Love”, Jersak addresses the different images we have of God and proposes that our vision of God should be shaped by Jesus and the cross. He begins deconstructing the notion of a wrathful, angry God in this section. He traces the development of this wrathful picture of God from Augustine through John Calvin to Jonathan Edwards, to John Piper. Jersak insists that we must interpret scripture through the lens of Jesus. And when we do, we see a God defined by self-emptying (kenosis), self-sacrificing love. In part two, “The Cruciform God”, we dive deeper into what this Christlike God looks like, especially in light of the cross. This is his cruciform hermeneutic and view of God: love, as revealed in Jesus on the cross, is God's primary characteristic which defines and constrains every other aspect. He describes "consent" as an essential part of love. God gave us free will and consents to allow us to rebel against him and reject him. He refuses to use power to enforce his will because he values love and consent more than getting his way through force. Instead, the God of love comes in the form of Christ, who goes willingly to the cross where he is crucified. 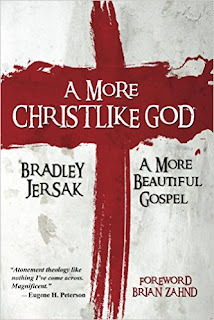 Jersak says “cruciformity and kenosis… describe God’s divine identity—not just what he is like, but who he is” (120). The last chapter of the book takes a closer look at the "beautiful gospel" and even gives practical tips for sharing it with others. Jersak summarizes a presentation originally called “The Gospel in Chairs” and now titled “The Beautiful Gospel” (Jersak’s presentation of this is available on YouTube as this that by his colleague Brian Zahnd). Two chairs are used to symbolize humanity and God. In one version of the gospel, God turns away from humanity when humanity turns from God. In the “beautiful” version, God never turns away but only awaits the return of human beings. This presentation of the gospel brought tears to my eyes as I was reminded all over again of how beautiful the gospel really and truly is. 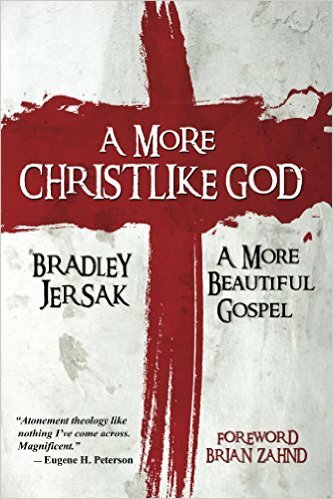 I love the way Brad Jersak points us to Jesus over and over again, and I love the gift he has for taking complex theological issues and making them accessible to everyone. And I wish everyone would read this book! "Christ did not come to change the Father, or to appease the wrath of an angry judge, but to reveal the Father." "Jesus was saving us from Satan, sin and death; not saving us from God." "The gospel is this: when we turn away, he turns toward us. When we run away, he confronts us with his love. When we murder God, he confronts us with his mercy and forgiveness."